Price revulsion for risk continues following a cold weekend. Moods are wretched with the hope for central bankers to fix the financial conditions back to hot from freezing very much in doubt ahead of a long week of key economic and political events. Today was about risk-aversion extending with US/China trade relations in doubt as China calls the US ambassador to lodge a formal complaint regarding the Huawei CFO arrest. This continues with the European markets waiting for the Brexit vote tomorrow – now potentially in limbo - and the ongoing French yellow vest crisis bringing another weekend of mayhem. Politics in the US and Europe are easily priced by markets as voters make clear the direction and extent of change while in more autocratic places like China, these risks are opaque and leave open doubts. The China trade report over the weekend is an example where significant weakness in imports maybe a flashing red light for Xi and his policy approaches. 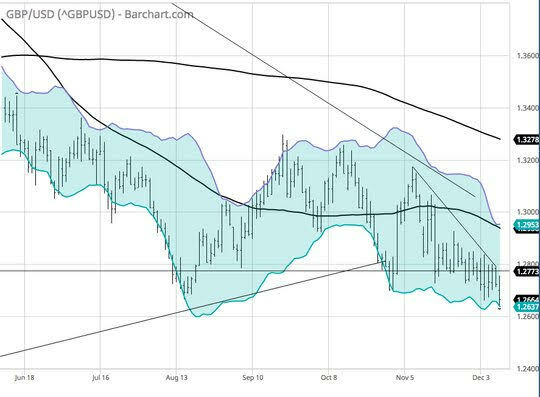 Markets are grasping for anything good today, and coming up short, even in the UK where delaying the Brexit vote maybe just making for more GBP pain. The mood overall is wretched like the charts for most any risk asset. Question for the Day: Is there a Monday curse? Today is the mirror image of last week – then equities were bid and hopes for a trade truce led to double-digit gains, today the reverse is true. Markets are fickle and amoral. There is no calendar for mood-swings. 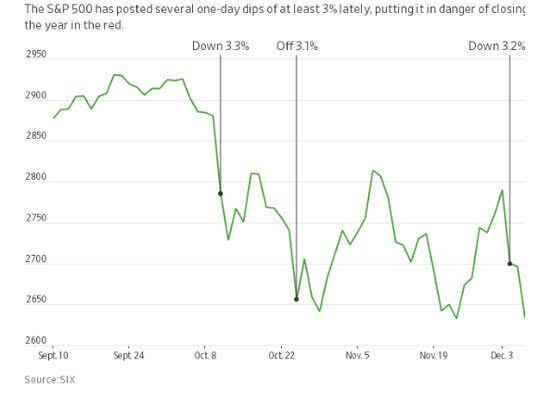 The 3% curse of the last 3 months stands out in contrast to the relative calm of 2017 when the S&P500 had months of less than 1% movement. The lack of bounce in the equity markets globally distresses many investors and its historic as we need to go back to 1936 for a worse trading period. That maybe a wake-up call for the FOMC, which back then caused some of the pain with a rate hike. 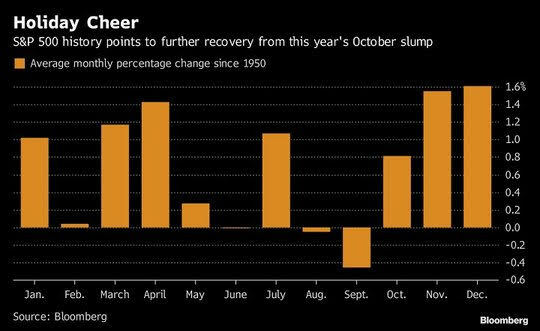 The other side of the coin that markets are watching is the usual seasonal flows that support the risk-on for December– as year-end bonuses, holiday spending and tax trades dominate the US markets. Whether the holiday cheer proves true rests on how next Monday feels, forget this one.